Want to know more about your health? 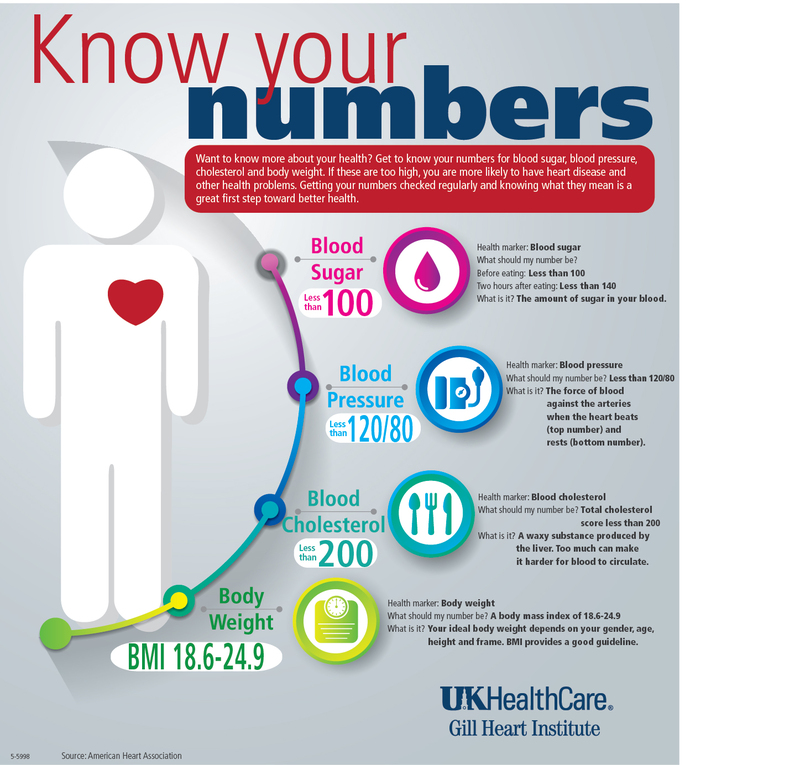 Get to know your numbers for blood sugar, blood pressure, cholesterol and body weight. If these are too high, you are more likely to have heart disease and other health problems. Getting your numbers checked regularly and knowing what they mean is a great first step toward better health. What should my number be? Before eating: Less than 100. Two hours after eating: Less than 140. The amount of sugar in your blood. The force of blood against the arteries when the heart beats (top number) and rests (bottom number). Total cholesterol score less than 200. A waxy substance produced by the liver. Too much can make it harder for blood to circulate. A body mass index of 18.6-24.9. Your ideal body weight depends on your gender, age, height and frame. BMI provides a good guideline.